Do you have a winter coat or jacket that you do not wear anymore? 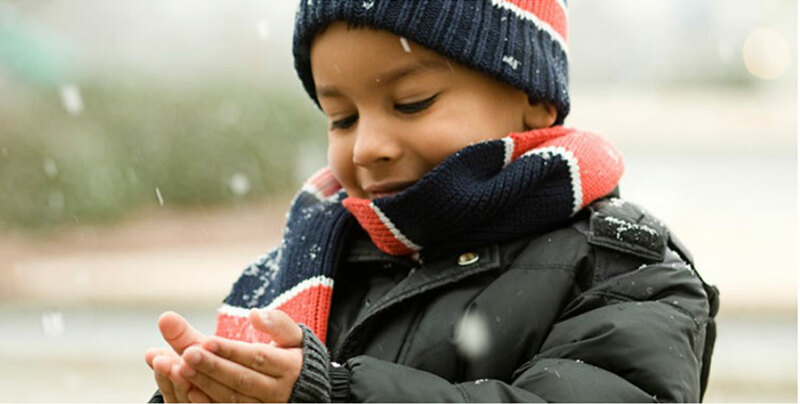 Have your children outgrown their winter coats or jackets? 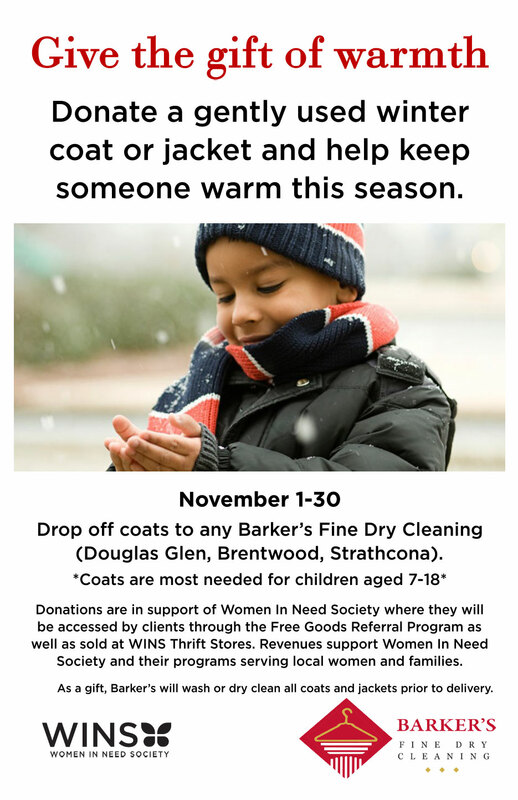 These coats and jackets can be reused through the ‘Give the Gift of Warmth’ campaign in support of Women in Need Society and Barker’s Fine Dry Cleaning. 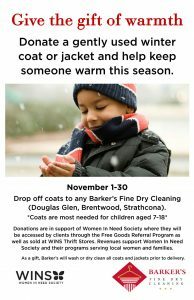 All coats and jackets received will be dry cleaned by Barker’s prior to delivery to the Women in Need Society for distribution. In addition to dropping off your old winter coats and jackets at any of the three Barker’s Fine Dry Cleaning locations, Green Ingenuity is also accepting these items and will forward them on to Barker’s for dry cleaning.